Click image below to Login. 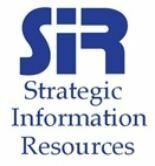 Thank you to our partners. We insure the American Dream. Vermont Attorneys Title Corporation (VATC) is a bar-related subsidiary of CATIC, the second largest bar-related title insurance company in the United States. Relying on its strong and loyal network of agents and members CATIC has been the #1 title insurer in the Vermont marketplace for years. Because your home or business property is a substantial investment and because it does make a difference who insures your title, be sure to ask your attorney to issue a VATC policy. Visit us at www.vermontattorneystitle.com. Phone: 800-649-3366 Fax: (802) 876-6801 Click to email. The Law Offices of Fred V. Peet concentrates its practice on residential and commercial real estate transactions. It assists buyers and sellers of real estate as well as mortgage lenders throughout the State of Vermont. The firm consists of four experienced attorneys who combine their knowledge of Vermont real estate law with the responsiveness and attention to detail that real estate transactions require. The mission of the firm is to provide professional legal advise while moving transactions forward in a timely and cost effective manner. The firm performs title searches, closings and related real estate services throughout the State of Vermont. Peoples United Bank, People's United Bank is a subsidiary of People's United Financial, Inc., a diversified financial services company with $30 billion in assets. People’s United Bank, founded in 1842, is a premier, community-based, regional bank in the Northeast offering commercial and retail banking, as well as wealth management services through a network of 419 retail locations in Connecticut, New York, Massachusetts, Vermont, New Hampshire and Maine. Regency Mortgage offers suitable and cost-effective residential mortgage products to New Hampshire, Maine, Massachusetts, Vermont, and Florida homeowners and home buyers. Regency Mortgage is equally committed to providing professional advice, consultation, and direction to New Hampshire, Maine, Massachusetts, Vermont, and Florida consumers. It is the expressed mission of Regency Mortgage to locate and provide the most in order to educate them in any and all aspects of the home financing process. Continued growth in responsible home ownership is a goal that is shared by the real estate and mortgage banking industries, and is enthusiastically supported by Regency Mortgage. Please contact Quentin Keefe, President for more information. Vermont Housing Finance Agency's mission is to finance and promote affordable, safe and decent housing opportunities for low and moderate-income Vermonters. VHFA provides homeownership financing by purchasing loans from 37 participating lenders around the state. Participating lenders include banks, credit unions and mortgage companies. STARK LAW, PLLC & BRIAN J. STARK, ESQ. PROVIDE A FULL RANGE OF TRANSACTIONAL REAL ESTATE LEGAL SERVICES to residential and commercial clients purchasing, selling or refinancing real estate in Vermont. We provide experienced counsel on the legal aspects of your transaction and exceptional customer service. In addition to transactional real estate representation, Stark Law, PLLC provides services to homeowner's associations including drafting of declarations and bylaws. Stark Law, PLLC also offers estate planning (wills, trusts, powers of attorney) and business formation (LLCs, S Corps, C Corps, asset merger/acquisition/sale) services to a wide range of clients. 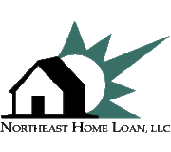 Northeast Home Loan partners with Loan Officers and mortgage providers throughout New England, offering a wide range of home financing options, interest rates and terms to find the best home loan to fit a borrower’s individual needs. We process residential mortgage loans for home purchases and refinances in Vermont and New Hampshire for Passumpsic Savings Bank of St. Johnsbury. If you are looking for a local home mortgage lender anywhere in New England, please call us at (877)757-7815 toll free or e-mail us. Our Mortgage Officers are experienced, local experts who help members to find the home loan product that's right for them, under terms that are best suited to Our Mortgage Officers are experienced, local experts who help members to find their needs and budget. New England Federal Credit Union, 141 Harvest Lane, Williston, VT 05495 Phone: (802) 879-8790 Fax: (802) 879-8734 www.nefcu.com Contact: John Hood, Email him.